This coming Subud World Congress in Freiburg aims to reflect the unity of our association, with the integration and working together of all aspects of Subud – Members, Wings, Youth, Helpers, WSA, MSF, Zones and Countries – to support the process of taking the latihan into the world. We invite you to be part of this event, putting the latihan into action in the world through a unity of work and purpose, integrating the individual talents and competences which are represented in the worldwide family of Subud. When you come, you will be bringing your gifts with you – your experience, skills, understanding, talents, hopes, and ideas, so we are developing plans and processes that will draw on these gifts, to define the future we strive for and the means to reach it. When you make the decision to come to the World Congress, your contribution has already begun. For those who are unable to come, there will be many ways to participate, contribute to and support our big event. Welcome all! Congress makes decisions by consensus. Usually the delegations split into official working parties dedicated to specific topics such as finance, helper work and project support. These working parties are distinct from the varied workshops that do not form part of the official congress business. The more informal workshops; however, comprise one of the most important experiences during a Congress. There is the opportunity to share experiences, learn from others and do testing regarding a wide variety of themes. During the congress, there are a host of other official meetings such as those of the Muhammad Subuh Foundation (MSF), the affiliates, the zones and the World Subud Council. In addition to these meetings, cultural events, international youth and family camps, national congresses and more are regularly promoted and reported in various Subud media, and may be found on the events calendar of Subud World News. In addition to the world congress every four years, the WSA organizes many international gatherings in between. It is customary to host gatherings when the World Subud Council meets, which is usually annually. In recent times, there were such get-togethers in India (2006), England (2007), Colombia (2008), Spain, (2009), and Indonesia (2011). THE 2013 EL CAMINO GATHERING was held in Poio, Spain, in late June and early July and was attended by approximately 200 members. As usual, there was a large international presence due in part to the many international meetings happening before or at the same time. The World Subud Council, the Muhammad Subuh Foundation and the Zone 3 Council met. The Mayor of Poio welcomed members of the World Subud Council at the start of their meeting and it was publicized in the local newspaper (photo). You may read more in the August WSA News. 2012 AMERICAS GATHERING in Vancouver, Canada. 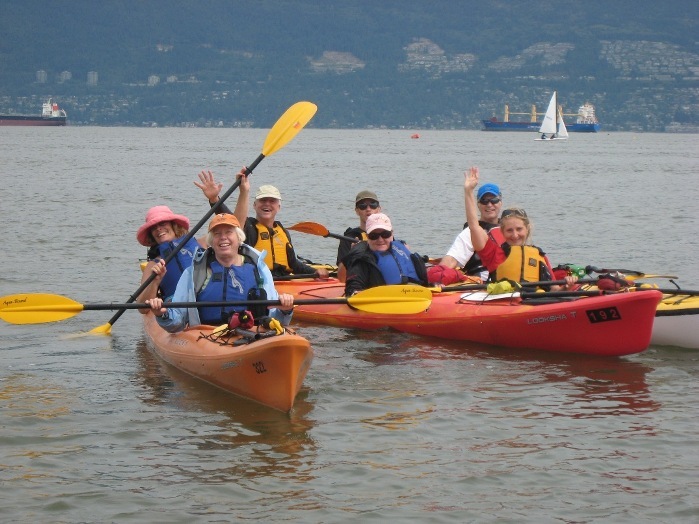 Along with rich cultural and spiritual prog rams, there were international presentations, outings (kayaking photo) and meetings, including the World Subud Council meeting, the Muhammad Subuh Foundation Trustees meeting, an International Culural Association meeting, Zone 7 Council meeting and Subud Canada’s Annual General Meeting. This was the fourth ‘America’s Gathering’, with prior gatherings held in 1999 in Mexico (called the ‘Pan-American Gathering’), in 2003 in Colombia and Brazil, and in 2008 in Colombia. In 2004 a Zone 7 Gathering was held at the same venue. Prior to 1999 the singular other Zone 7 gathering, (or North America event at that time), was in Montreal in 1992 and so this was truly a unique opportunity for members spread over the continent as well as Latin America. For additional news, visit the Zone 7 page. The Rungan Sari International Gathering in Kalimantan welcomed people from all over the world as well as many Indonesian members. The Gathering ran parallel to the World Subud Council and Muhammad Subuh Foundation Meetings and between visitors and residents close to 200 people were present enjoying kejiwaan activities, visits to local social projects, presentations and entertainment. Being in Rungan Sari, a community of Subud members, allowed for a special atmosphere. It also gave members from around the world a taste and first-hand experience of the amazing number of projects and activities that are intertwined with the community around Rungan Sari. To see a glimpse of these activities you may visit www.rungansari.net. Subud Britain hosted not only their annual holiday and their 2010 national congress in the historic spa town of Great Malvern, but the Zone 3 Council (Western Europe) and the World Subud Council meetings were held at the same time. Over 600 members attended. Western Europe, (Zone 3), hosted an international Gathering for a week in May in near one of the famous pilgram’s roads to Santiago de Compostela, or the ‘Camino,’ in northwest Spain. A monastery provided the accommodations and various international Subud bodies such as the World Subud Council, the Muhammad Subuh Foundation Trustees, and the Zone 3 Council met at the same time.